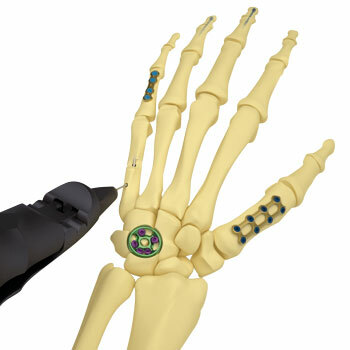 The electrosurgical units of the Touch-line are new developed "High-End-Electrosurgical-units". The multifunctional Touch-System impress with its large display and its simple manipulation. The simple operating concept of the MD touch 300 enables a fast direct access to the program parameters. Using the up and down buttons all functions and performance levels can be adjusted easily and directly. 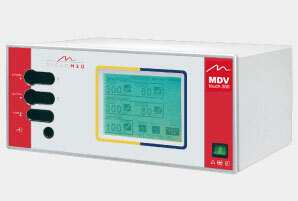 Additional to the MD touch 300 the MDV touch 300 offers additional functions for bipolar coagulation with 185 Watt engine power. The ideal electrosurgical unit with 50 Watt for smaller surgical operations. Suitable for various uses, such as general surgery, dermatology, dentistry and veterinary applications. Due to easy handling, high reliability and safety as well as high performance the MD1 is the ideal companion in outpatient departments and private practices/clinics. The even more powerful electrosurgical unit MD3 offers compared to the MD1 additional power and a bipolar cutting mode. The additional bipolar plug allows for numerous connecting devices to be used and with that, all advantages the bipolar technique stands for. The Micromed RF 130 unit is applicable for all operations in the field of electrosurgery, as well as in all specific areas of veterinary medicine, neurosurgery, ENT, gynaecology and above all for plastic surgery and dermatology.